The sibling to Bergamot in Inman Square, BISq is a restaurant and wine bar serving inventive American small plates. The sleek, dark wood finishing and wine-bottle decor create an intimate, cozy and modern atmosphere. The space features an open kitchen lead by Chef Alex Saenz with a fun and entertained marble kitchen counter and a bar serving a French-focused wine program, along with a variety of craft beer offerings. BISq was mentioned as "New and Noteworthy" and recognized by Wine Enthusiast Magazine as one of America's 100 Best Wine Restaurants for 2016. Is the ideal place for guests looking for a thoughtful and creative food and wine experience. We serve good food cooked from the heart: elegant small plates and delicious dishes with comfort food in mind. Each of the dishes served at BISq is a piece of art, created and beautiful presented to our guest by our Chef Alex Saenz. You might even feel guilty about eating them. 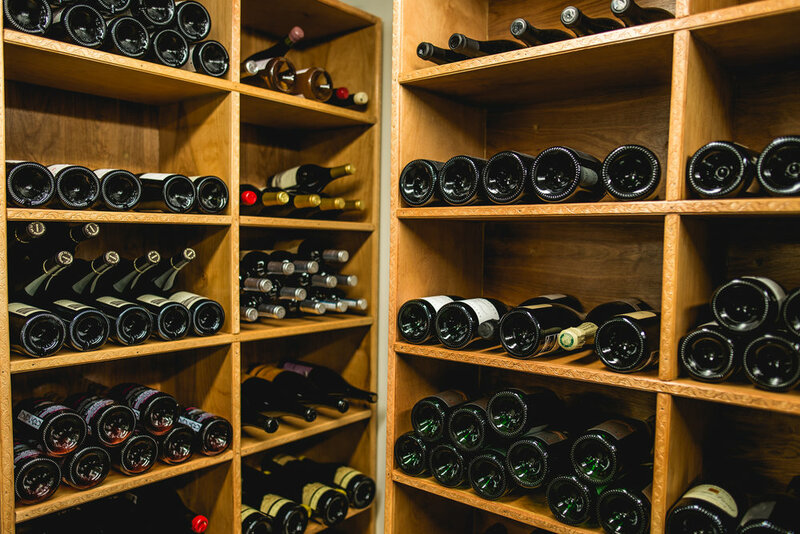 Our award winner wine list is focused on natural, organic and bio-dynamic wines, mostly from France and Germany. Wines made with such connection to the environment have the ability to transport you to where they were made. Reserve your whole animal feast today! Chef Alex grew up in South Carolina, having recently returned to Boston from Charleston. 1st generation American and Peruvian by descent, his culture is reflected in every facet of his work. He has spent the majority of his working life in New England, specifically on the Cape, Boston and Islands. He encourages a theme of simple elegant plates bursting with flavor. His tapas style menu combines local, farm fresh produce, house made charcuterie, southern soul, and latin flair. Featuring fried chicken, bone marrow risotto, coffee roasted sunchokes, Spanish octopus and anticuchos. There are flavors for every palate. One of our favorite ways to cook and eat starts by taking a whole animal, roasting it, and eating it off the bone in the company of friends. With a few days notice, we want to extend this experience to all our guests. While your pig, chicken, or fish will be the star of the show, Chef Alex will prepare three extraordinary courses to fill out your meal. These whole animal dinners can also be prepared TO-GO, so you can enjoy them with family and friends at home or at your office party. Whole Roast Suckling Pig, Fish, Duck, Lamb, Goat or Chicken.